Note: This article relates to the PayPal Payouts pro add-on. 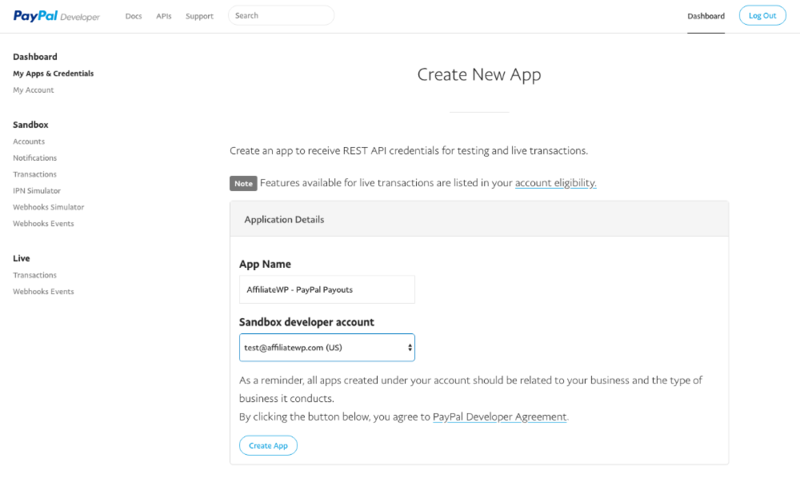 To send affiliate payouts using PayPal's API, you will need to first create an "API Application". This is simply a set of credentials you provide to AffiliateWP in order to allow AffiliateWP to send payment details to PayPal on your behalf. 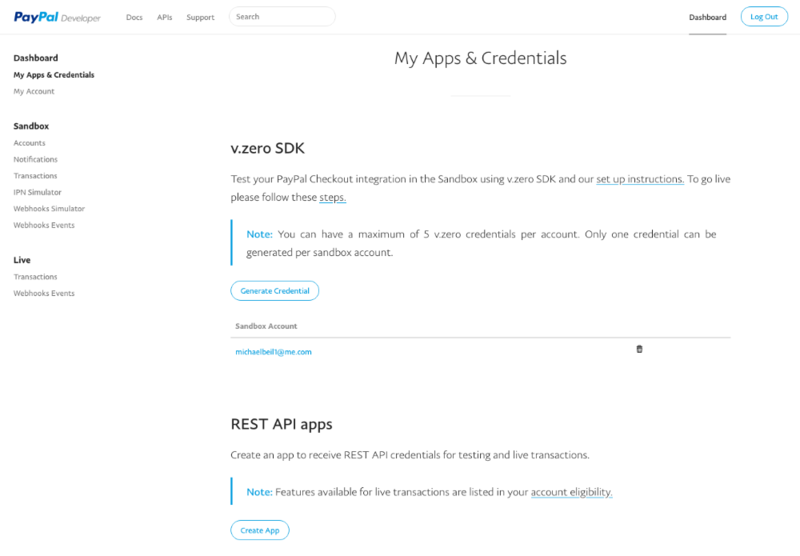 API Applications are created from the My Apps of the PayPal Developer portal. Don't worry, you do not need to be a developer to create the application. Click on Create App below REST API apps. On this next screen, enter "AffiliateWP - PayPal Payouts" as the App name. The Sandbox developer account option can be left as default, unless you'd like to use a specific Sandbox account for this application. Once the application is created, click on the application name to view the details page of the application. In the top right corner is a toggle button for viewing Sandbox vs. Live credentials. For testing PayPal Payouts, use the Sandbox credentials. When ready to process actual payments, use the Live credentials. For live payouts, be sure to enable the Payouts permission from My Account. Now, from your WordPress Dashboard, navigate to Affiliates → Settings → PayPal Payouts and enter your Client ID and Secret. 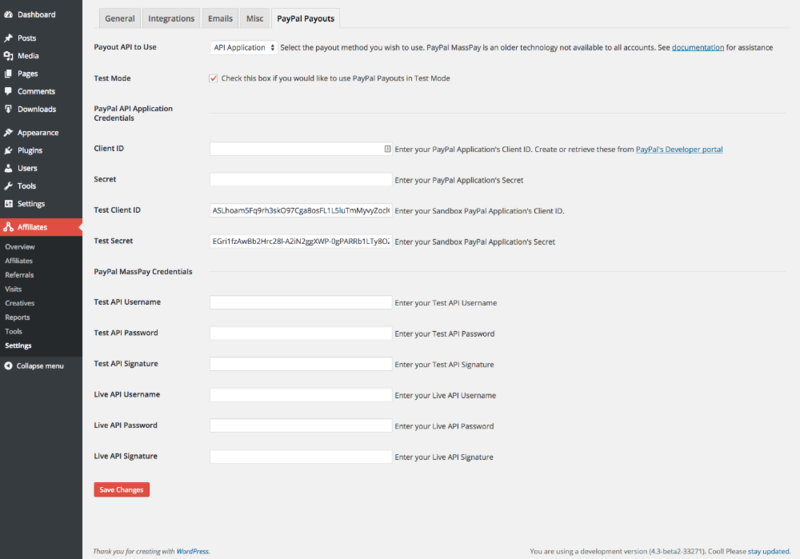 If you wish to test PayPal Payouts, you can enable Test Mode. 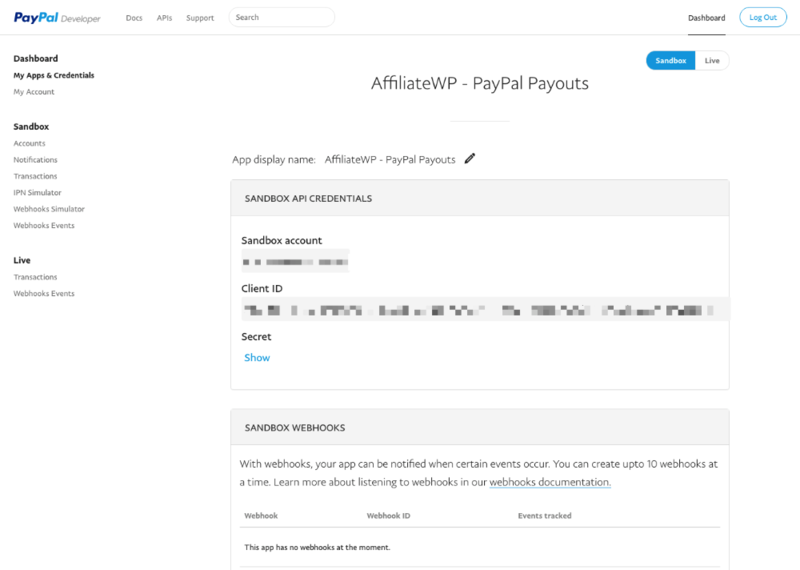 This will cause AffiliateWP to use your Sandbox credentials so you can test payout processing without transferring actual funds. 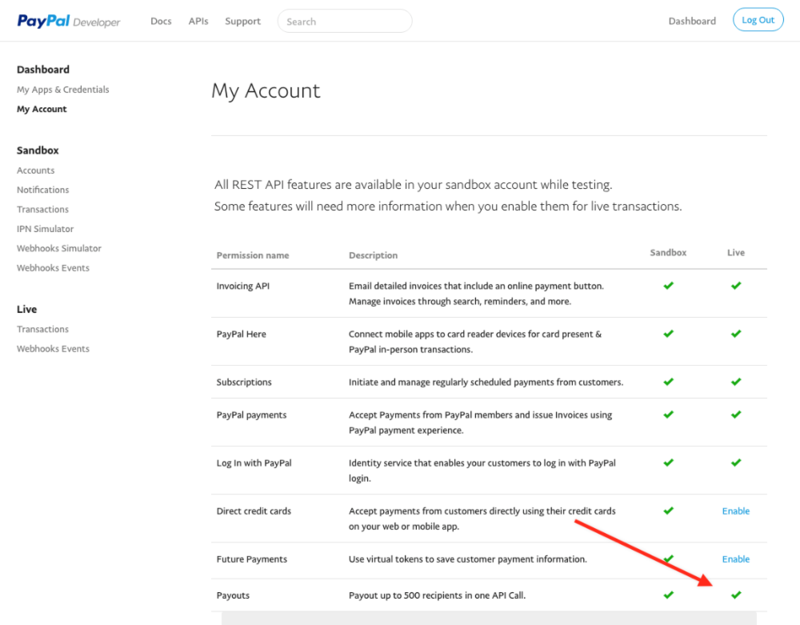 PayPal Payouts requires API access and the payouts feature to be enabled in your PayPal account. Available for all business accounts. If you receive a "denied" receipt from PayPal after processing a payout, the affiliate's account may be suspended, cannot receive your site's currency, or cannot receive payments from your country. Be sure to have enough funds in your PayPal balance prior to paying out your affiliates.